we hung out with family, friends, went camping, went fishing, went shopping, layed out on the deck, played with the puppies, went to Pike’s and enjoyed every second of it all. It was so hard to leave. It didn’t rain once…. 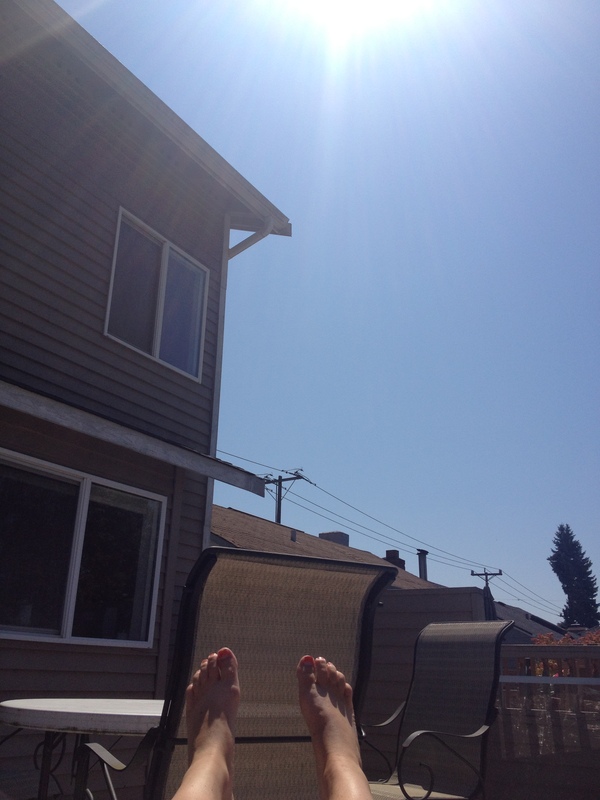 Isn’t the reason I was okay with leaving Seattle was because it rained all the time… rain to sun…. anyways it really was hard to leave. Peter is home! Peter is home!